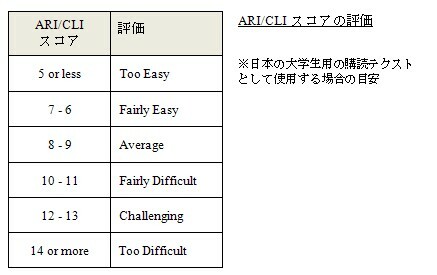 Coleman, M. & Liau, T. L. (1975), " computer readability formula designed for machine scoring," Journal of Applied Psychology, Vol. 60, No. 2, pp. 283-284. Dale, E., & Chall, J. S. (1948), A Formula for Predicting Readability. Columbus, OH: Ohio State University Bureau of Educational Research. Flesch, R. (1960), How to Write, Speak, and Think More Effectively. New American Library, New York, NY. Flesch, R. (1974), The Art of Readable Writing. Harper and Row, New York, NY. Fry, E.B. (1968), "A Readability Formula That Saves Time," Journal of Reading, 11, 7, pp. 265-271. Gunning, R. (1952), The technique of clear writing. McGraw-Hill International Book Co,. New York, NY. Gunning, R. (1968), The Technique of Clear Writing. McGraw-Hill, New York, NY. Krashen, S. (1985). The Input Hypothesis: Issues and Implications. Torrance, CA: Laredo Publishing Company, Inc.
Laufer, B. (1989), "What Percentage of Text Lexis Is Essential for Comprehension?" In Lauren, C. and Nordman, M. (Eds.) Special Language: from Humans Thinking to Thinking Machine, Clevedon: Multilingual Matters, pp. 316-323. Laufer, B. (1992), "How Much Lexis Is Necessary for Reading Comprehension?" In Arnaud and Bejoint (Eds.) Vocabulary and Applied Linguistics, London: Macmillan, pp. 126-132. 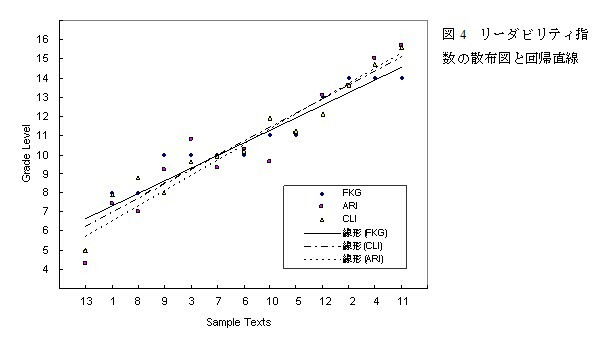 McLaughlin, G. (1969), "SMOG Grading: A New Readability Formula," Journal of Reading, 12, 8, pp. 639-646. Nation, I.S.P. (2001), Learning Vocabulary in Another Language. Cambridge: Cambridge University Press. Zakaluk, B.L. & Samuels, S.J. (Eds.) (1988), Readability: It's Past, Present, & Future. The International Reading Association, Newark, Delaware. 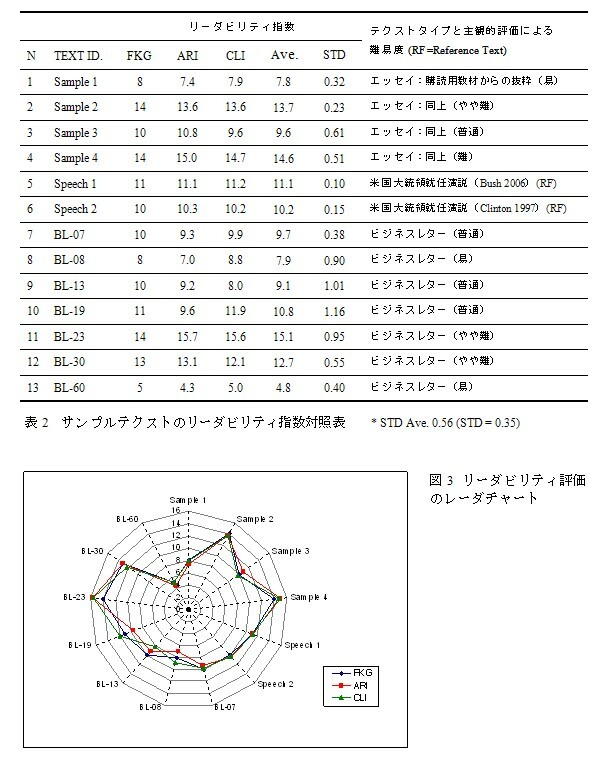 中條清美・長谷川修治 (2004) 「語彙のカバー率とリーダビリティから見た大学英語入試問題の難易度」日本大学生産工学部研究報告B, 2004年6月第37巻, pp. 45-55.